Pearls have to be one of my favorite stones to work with. I have a bad habit though of buying them and then hoarding them all away like a dragon with his treasure. My pretties! Thank goodness for Shel of Mishel Designs. 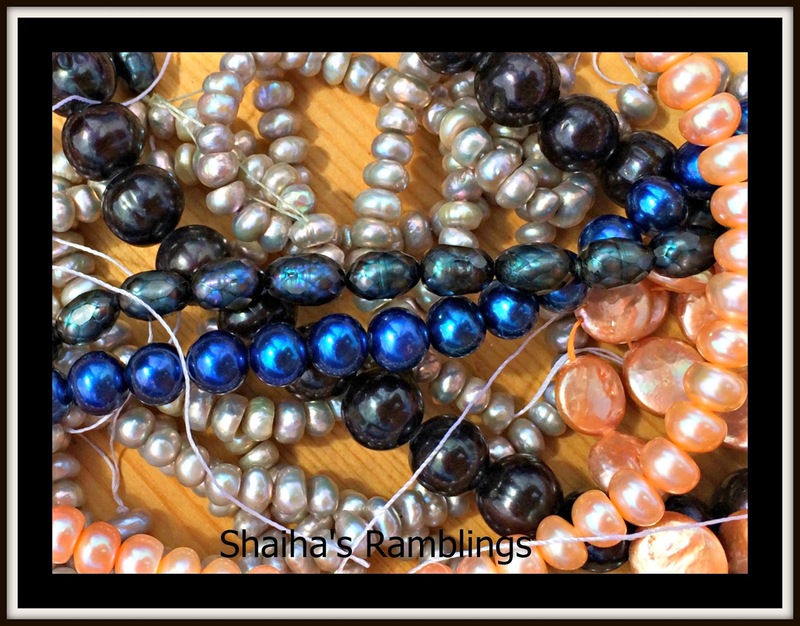 She is hosting a blog hop focused on Pearls and I am joining in. I don't know what I will be making up yet but it is sure to focus on pearls. Be sure to pop back by on June 29th to see that I came up with along with all the other designers. Unlike you pearls are always a problem for me to work with. I love what everyone else makes with pearls but I am never inspired to create with them myself. That's why I entered this blog hop. Probably the biggest challenge I have had to conquer. Hopefully I'll have something for June 30th!